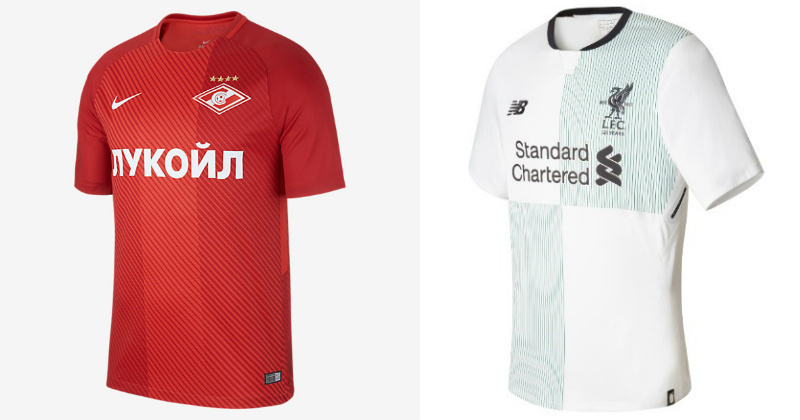 Amongst the highest quality football on the planet, football fashion aficionados will get to set their sights on some of the more understated kits out there this season. Here is a taster of some of the more obscure home and away kits from around Europe. 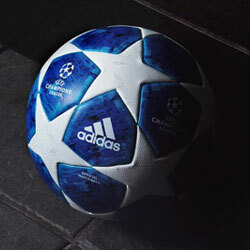 This week sees Champions League action return for the second round of group games. Groups E through H are in action on Tuesday night; with the highest profile clash coming in Group H - as Borussia Dortmund host Real Madrid at the Signal Iduna Park, after a shaky start away to Spurs. Groups A-D take the Wednesday kick-offs. Two heavy-weight clashes are set to go ahead on the 27th as Atletico Madrid host Chelsea and PSG line up against Bayern Munich at the Parc des Princes. Russia is set for a fiery couple of days in the capital as both Liverpool and Manchester United arrive for consecutive Champions League games. First up are Klopp’s men as they are set to play Spartak Moscow on Tuesday night. It was draws all round for the teams of Group E, so everything is all-square as it currently stands. Spartak’s bold red sets an intimidating precedent, but the team have looked disjointed this season and have struggled with injury’s so far. So they will be looking to impose themselves on this home game and put a shaky Liverpool defence under pressure. Liverpool’s new away kit is a throwback to the 95-96 away kit by adidas. 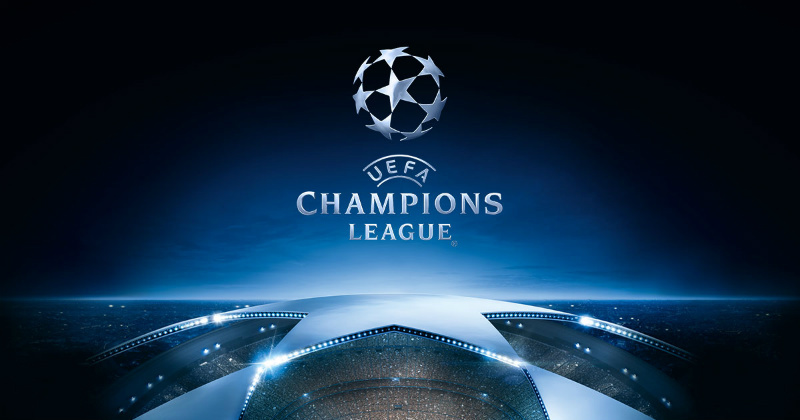 Harkening back to the days when Liverpool were regular Champions League competitors, fans will hope the current squad can recapture their former glory. RB Leipzig’s kept Monaco quiet in a 1-1 draw in game-week one and their new home kit for this season is hardly anything to shout about. 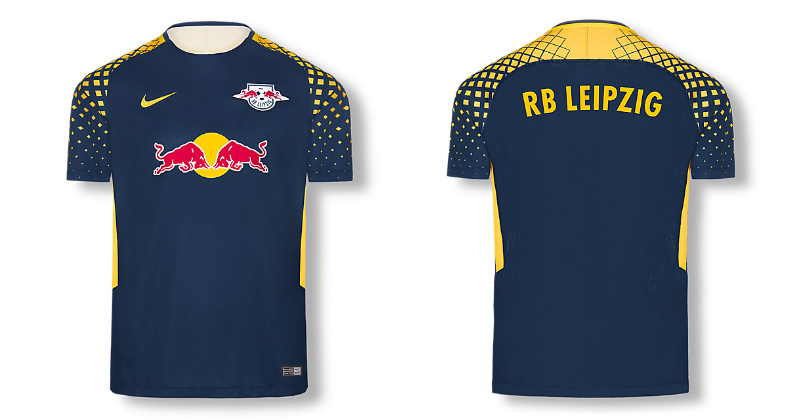 Its understated design utilises a blue and yellow diamond pattern across the shoulders and sleeves, while Red Bull’s logo takes precedence across the front and the colouring of the kit has seemingly been selected to help the logo stand out. 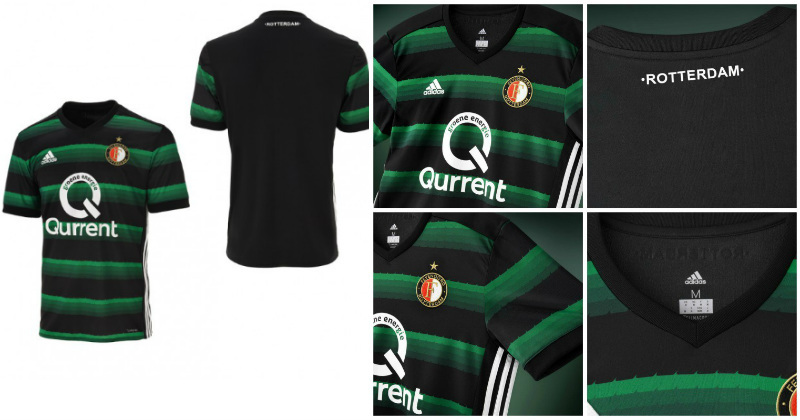 This week sees Feyenoord away to Napoli where we will get to see their new black and green away kit in action. 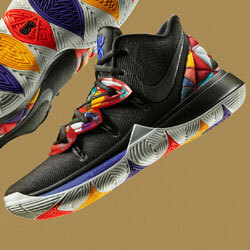 The horizontal green stripes have been given a 4-tone dimension which blends well into the black background. One of the darkest kits in the Champions League; the jersey reflects the dark cloud of defeat administered by Manchester City where they were shocked to a 4-0 defeat at home. From one of the darkest to one of the brightest, APOEL Nicosia return to action with their brilliantly yellow away kit. The Nike-designed strip utilises the club’s colours in bold yellow with blue sleeves. Sitting bottom of a truly difficult group we might not be seeing them progress from the group stages; but they are definitely set to stand out in this beautiful little yellow number. 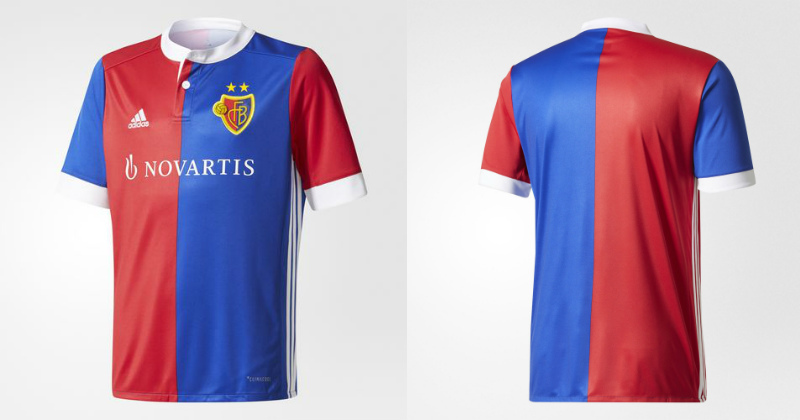 The iconic red and blue of FC Basel returns to action this Wednesday with a home game against Benfica. Their home kit for the current season boasts an impressive retro buttoned collar with matching white-rimmed sleeves. Fans will be hoping they can turn around a 3-0 loss at Manchester United to put some points on the board. In a brave move, New Balance have produced green Home, Away and 3rd choice kits for the reigning Scottish champions this year. 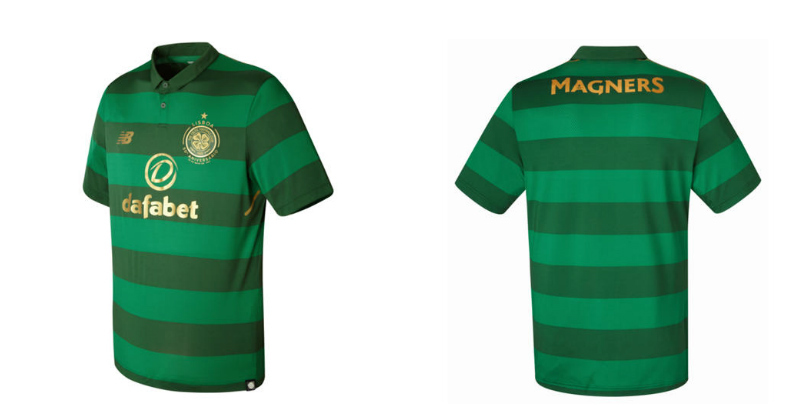 So, Celtic will be wearing this stunning green on green away strip when they play Anderlecht on Wednesday. The verdant green jersey boasts a golden shoulder trim as well as golden badge and sponsor. After winning the league in record time last season, Brendan Rodgers’ men will be looking for their best performance in the Champions League this year. 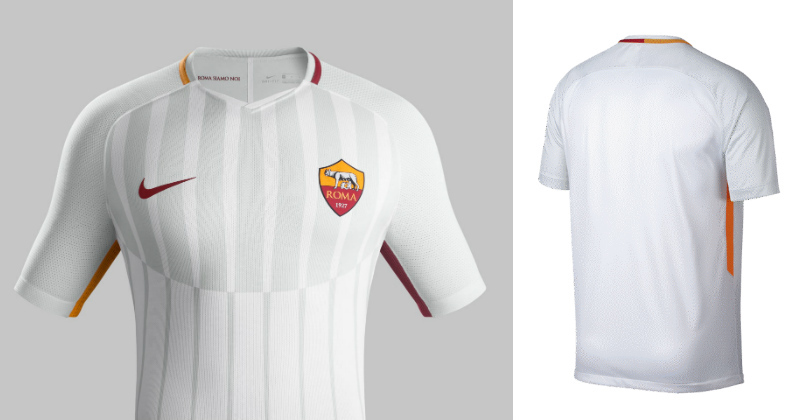 Roma will be sporting their white away kit this Wednesday in the Champions League game against Qarabag FK. 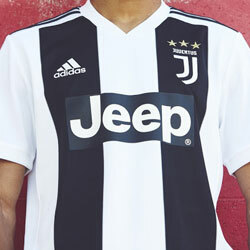 Nike have designed the new jersey using little colour for maximum effect, with the subtle white and silver lines keeping things interesting. Finished with the yellow and red colours of Roma on the collar and seams; this is one of the most elegant kits from a country famous for its fashion. 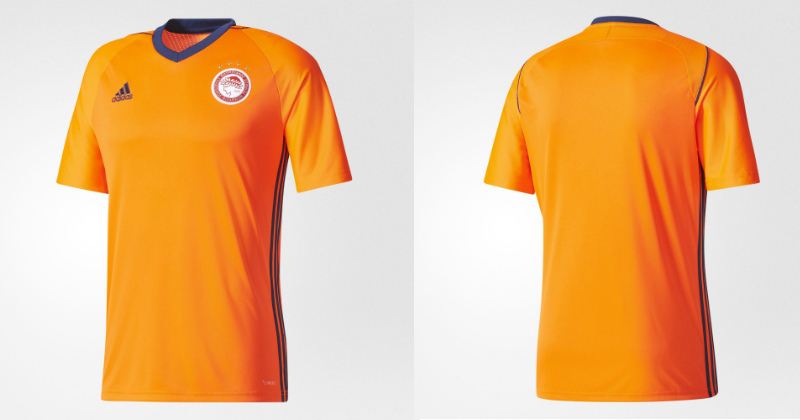 This season’s away strip at Olympiacos pays tribute to the classic designs of the past. Merging bold new colours with a tried and tested design, the new kit is a bold statement from Greece’s most successful club. Up against a hardy Juventus side this week, Olympiacos will be looking to get off the mark in the group stages after a disappointing 3-2 loss to Sporting CP last time out. 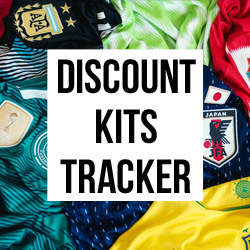 If any of the football kits you’ve seen here catch your eye; FOOTY.COM will help you find the best prices -so you can get your hands on a great new Champions League inspired jersey at a great price!